← Monologue vs. dialogue: The myth that governments need more or better communication. Public resignations do these change a corporate culture? You chafe under an organisational hierarchy seemingly focused on the wrong goals, or behaviour, or even potentially criminal activity, and you dream that you can change it through a bold personal act. For some, it will be a report to the management team showing where it has gone wrong and what needs to be done to make it right. For others, where that option has been tried and failed, a different approach may be needed. For example, Paul Moore formerly of HBOS, who after trying to warn the bank about its risk taking became a whistle-blower during parliamentary hearings on the financial crisis. You may even be like Greg Smith, formerly of Goldman Sachs, and make a public resignation. In each case, the person decides that a public statement is needed to change the company. On the surface, it seems plausible that your bold and public action will have the intended effect. The organisation may be legally required to change or at a minimum be shamed into changing. With your public statement, you describe what needs to be changed, and the public can track whether the changes have occurred. That you have done this publicly acts as the greatest exclamation point. Yet, the reality is that the public resignation is unlikely to change the organisation. Unlike a whistle-blower, which is protected by laws in many countries, a public resignation rarely carries the same legal weight. At the same time, the whistle-blower legislation is focused on illegal activity and not poor decision-making, flawed corporate leadership, or destructive corporate culture. As a result, the courts, regulators, and investors are unlikely to take the same organisational interest in your resignation statement. They are going to be focused on the legal or regulatory remedies and issues and not your personal views. At the same time, you and the publicity becomes an external threat to reputation. In response, the reputational management mechanisms will be engaged to deal with your challenge to the organisation’s reputation. You are, after all, now outside the organisation. The organisation can now dismiss or downplay all your statements for the same reasons that you left (you were disgruntled, you did not get your own way, you were wrong). When considering whether your public resignation will change a company, you have to consider the following questions. Many of the public statements are personally cathartic statements rather than a legitimate plan to change the company. They can appear as self-justificatory statements to show you want to disassociate yourself from the company. However, that does not mean you are right and the company is wrong. Instead, it may show that there is not a fit between you and the company. As a result, the company’s reputation management mechanisms will deal with that issue. The best way to change a company is from inside. In that regard, the public statement may show that you cannot or could not change the company, or that you lacked the influence to change it. Here we see how and why Greg Smith’s statement will have less of an effect than many people will believe. What he was alleging is that the corporate culture was toxic. However, that does not mean the organisation is acting improperly or acting in a way that will harm its profitability. If you had stayed, could you have changed the company is a central question. What is implicit, and sometimes explicit, in a public resignation is that you cannot change the company. For some people, it may be that they tried to change it and failed so the public resignation is necessary. Alternatively, the public statement can mean that changes are going too far/not far enough or too fast/too slow. If the company is unable to change, even if it is not sinking, what will a public resignation do? In Greg Smith’s case, he believed that change was possible. He wanted to save the company from its corporate culture. The problem for his approach may be that the corporate culture is still successful and although showing symptoms of toxicity is still working. The challenge from his public statement is whether the culture he wants to encourage and the one he wants to stop can be changed from outside. At the heart of the public resignation letter is the belief that corporate culture can be changed by external factors. In many ways, there is a belief that public attention on the company will change it. As Gaby Hinsliff has written, shame cannot be under estimated for its effect on people such bankers, MPs, and tabloid owners. Yet, organisations are not people. They do not respond to external stimuli in the same way that person might. The organisation is structured as a protective shell that nurtures and protects the internal culture so that the organisation can survive and thrive. If something like a public resignation letter, or bad press, challenges that culture, the response is more likely to be defensive than welcoming. The reason is that the organisation already “knows” about the issue and may not see the issue in the same way. Thus, a disagreement over risk may just be that, a disagreement where both sides may have valid points. Culture in the organisation is how things get done within the organisation. As the DNA of the organisation, it is hard to change from outside. The change has to come from inside the organisation. Yet, the change is not an absolute. In each encounter that shapes a culture decisions and actions show trade-offs between alternatives. What culture does is shape the guiding approach to those decisions so that in time, the organisation shows its culture by how it acts. Thus, the corporate culture may seem toxic, customers treated with contempt, and the decisions still sound because the toxicity in one area has not infected, nor is it allowed to infect, the other core areas of an organisation. For an external event, like a public resignation, to change a culture, it has to help those inside who are trying to change the organisation. If there is no one working for change inside the organisation, then it will not work. If there are people inside trying to change the organisation, the external event may help them. The danger is that the external statement can be used to discredit and not strengthen the people inside the organisation working for change. 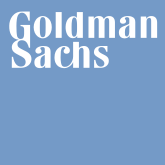 For Goldman Sachs the letter has raised question. What is still to be seen is whether the questions lead to changes. For anyone else in a similar situation, they will need to answer the questions above to decide what they want to achieve and whether the resignation will have the desired effect. This entry was posted in change, change managment, culture, leadership, learning organisation, management and tagged DNA, Enron, Goldman Sachs, Greg Smith, HBOS, leadership, Organizational culture, Paul Moore, Whistleblower. Bookmark the permalink. 5 Responses to Public resignations do these change a corporate culture? You are welcome. It was a good article. I appreciate the feedback. Thanks! Your thoughts on public resignations and their purpose were intriguing. Motives are everything. And if a person’s motives for publicly resigning are purely selfish, then what’s the point? It was great, Lawrence. If you don’t mind me asking, what did you like most about my article? I liked the idea of bringing strategy and culture together. They work seperately and together they create soemthing larger and more dynamic. Too often people see them as individual or competing, which leads to flawed results. For example, you will see organisations constantly restructuring instead of dealing with the underlying culture. They believe structure creates culture. At the same time, you see organisations pursuing the same moribund strategy because their culture is stuck in a risk averse approach. Finally, you brough that all together in less than 1000 words. My style is less succinct so I enjoy the contrast. That was a great analysis. Thanks, Lawrence! I try to keep my blog posts short so people can consume it quickly. However, sometimes that means sacrificing deep analysis and explanation for convenience.